Joseph's Grainery: Are You Prepared? No, these aren't our grain bins, but they could be your solution to long term grain storage at home. Yes, you can try this at home. All you need to do is choose any two Joseph's Grainery products listed below to complete your 50lb. order. You will recive two 25lb. 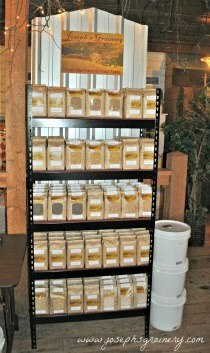 pails of your favorite Joseph's Grainery grains, flours,and mixes sealed fresh for your home storage needs. Prices listed are per 25lb bucket. ***prices listed are the price per 25 lb bucket and do not include shipping. So to figure your subtotal, add the price of your two 25lb buckets. 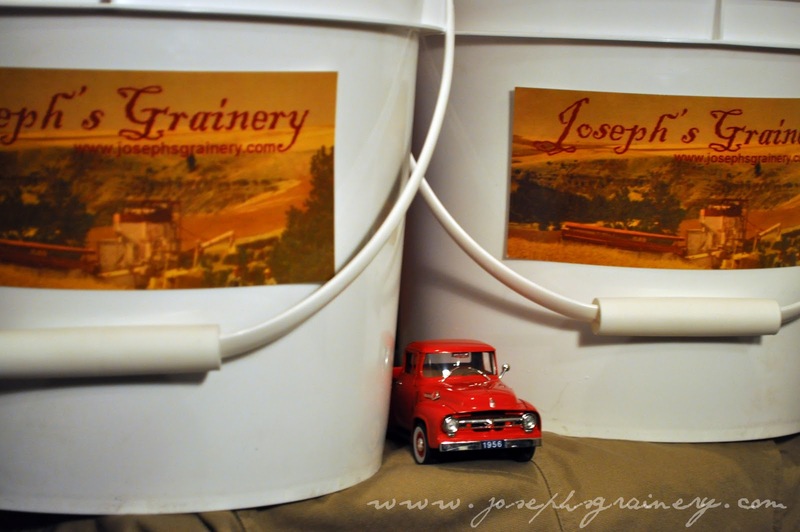 Send us an e-mail at info@josephsgrainery.com telling us what you'd like in each of your 25 pound buckets and where you'd like it shipped (please include zip code in this e-mail so we can calculate shipping charges for you). We'll be in touch with you shortly to verify your order and arrange for payment. Simple, easy and you're on your way to providing for your family in case of emergency with Joseph's Grainery.